Enjoy your own steak dinner big enough for two while you sip on Don Draper’s favorite cocktail, an Old Fashioned. Mad Men, AMC’s smoky and glossy series about the advertising world in the 1960s, may have ended nearly three years ago, but fans still haven’t stopped praising the world of Don Draper and his friends. For those who just aren’t ready to let go of the golden era (of advertising) but can’t wait until the Mad Men restaurant opening in 2019, a Chelsea restaurant is letting you dine like Don as part of its new winter weekly series Mad Men Nights. Beginning Thursday, February 1, diners who stop by The Red Cat at 227 10th Avenue in Manhattan will get treated like Draper, swanky steak dinner and a cocktail menu stacked with several character favorites included. The Red Cat is launching a Mad Men event amid New York’s popular winter Restaurant Week (January 22-February 9)–approximately two and a half years after AMC-sponsored its very own Mad Men Restaurant Week. 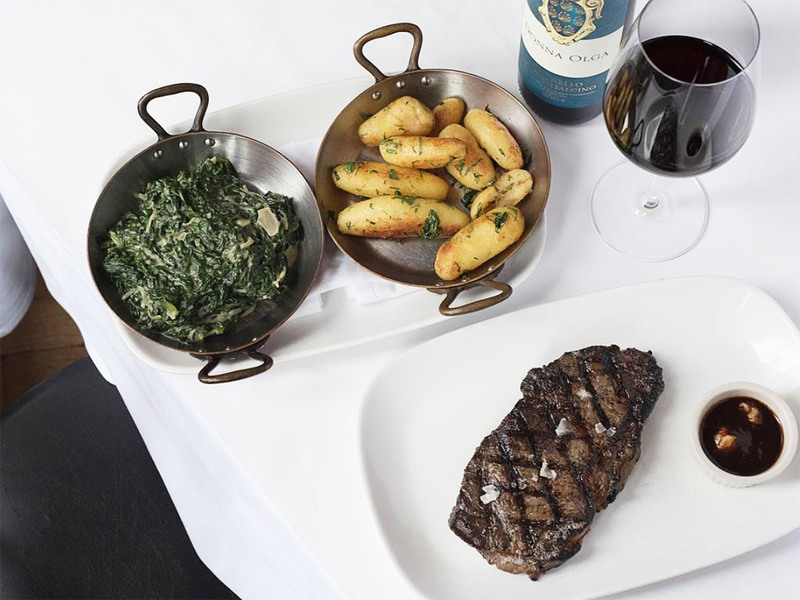 Running during the series’ final season in 2015, city restaurants like Morton’s and Delmonico’s offered customers a bevy of cocktails, as well as two-course prix-fixe menus based on popular meals from the 1960s. A somewhat toned-down but still tasty version of that citywide event, The Red Cat is inviting fans and customers into its intimate but roomy, dimly lit space where they can once again “dine like it’s 1969” by enjoying a classic “steak dinner,” which was popularized along with the seafood dinner during the 1960s. For $62 you’ll get a steak big enough for two, along with a generous helping of creamed spinach and crispy potatoes. You can top that off with a special 1960s and Man Men character-inspired cocktail or glass of wine. 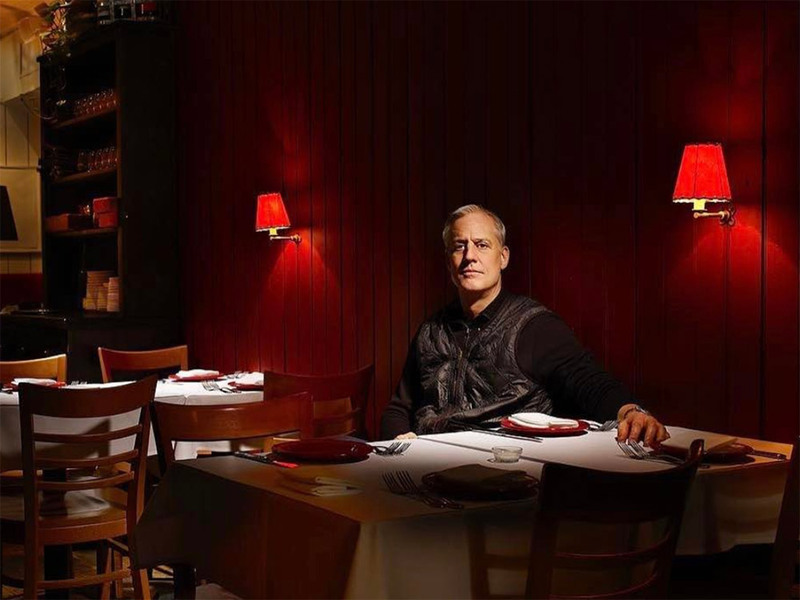 "Warming up with a classic cocktail and a 60z dry aged sirloin seems like such a classic Don Draper move to me, especially in the cold weather," The Red Cat chef and owner Jimmy Bradley told Food & Wine. "Our bar has an anachronistic vibe that our customers enjoy, and we wanted to create a fun and laid-back promotion that really captures our style." The drink culture in and around Mad Men is particularly strong, so much so during the show’s run, AMC released its very own Mad Men cocktail guide. As a way to help you and your fellow fans recreate the intoxicating atmosphere of drinking with Don Draper or founding partner of Sterling Cooper Draper Pryce, Roger Sterling, The Red Cat is serving up Martinis, Manhattans and Old Fashioneds alongside complimentary bar snacks. That includes housemade stuffed olives and a spicy nut mix. All wines over $90 are half price throughout the evening, and a reverse happy hour will grant you $9.99 cocktails from 9:00 p.m. to midnight. The Red Cat is open for dinner Monday through Saturday from 5 to 11 p.m., and on Sunday from 5 to 10 p.m.